If you are thinking of hiring a video production company, you will likely find there is a vast array of companies from which to choose. This can make the selection process somewhat challenging, and you may already be wondering how you can make sure you find the most appropriate company for your needs. Companies can offer top-notch services even if they have not been in business for a significant length of time. However, the longer a person or company has been in operation, the greater the likelihood that they have the competence, skills and experience to provide outstanding service. Additionally, if the company has been in business for a substantial length of time, they probably have a strong portfolio of satisfied clients from whom you can obtain reviews. 2. What is the Company’s Level of Creativity? You should also ask how creative the company is, as expert advice in this area will significantly impact the quality of your production. For example, if the company can suggest ideas for your video and help you to storyboard, it will ultimately ensure that the message you want to put forth is effectively portrayed in your final product. The more creative the company is, the more likely their videographers are to understand your needs and ultimately help you create a terrific video. 3. Does the Company Specialize? It is wise to ask each company about the kind of videos they produce. This is because some video production companies specialize in certain genres. If you have decided on a specific type of video, consider searching for companies that specialize in productions of that kind. You may also wish to ask each company for example videos that you can play on Vimeo or YouTube. Such activities go a long way toward helping you make a final decision about a particular company. 4. Is the Company Enthusiastic About the Project You Have in Mind? It is essential for you feel that the production company is motivated and interested in your project, as this ensures that the results will be a video you love with the characteristics and features you had in mind. The company’s enthusiasm should be evident, and if they truly have a genuine interest in producing great videos, this excitement will be obvious throughout all production phases. 5. Is the Company Organized? Because you may be working under a deadline, it is critical that the production company you hire is organized and efficient. Successful companies of this type are very conscientious with regard to preparation, communication and organization. If it looks as if the company cannot efficiently meet deadlines or the employees seem as if they do not have good timekeeping skills, it is best to move on to the next company on your list. 6. What Type of Clients Has the Company Worked With in the Past? Knowing a little bit about the production company’s client base is another thing that will help you with the selection process. For example, you should ask them if they specialize in video productions for a specific sector or if they cover a broad range of video projects. For example, if you work in the IT business, but the company you are considering primarily services clients in the healthcare industry, it may be better to find one that specializes in IT or choose a company that services a broad range of clients from all sectors. 7. Are You Comfortable With the Company? Because video projects require you to work with videographers and a full production team for certain parts of the project, it is essential for you to effectively communicate with the staff. Asking yourself the simple question of whether or not you like the company and its employees goes a long way toward determining whether or not you are choosing the best company for your needs. If you do not get along with staff members or the owner of the company, the project may quickly become difficult for everyone involved. Fortunately, most production companies are more than happy to meet with you prior to beginning your project. During this meeting, you can discuss ideas, convey your goals and give the company the opportunity to showcase the professionalism and friendliness of their staff. 8. Is the Company Willing to Provide an Estimate? 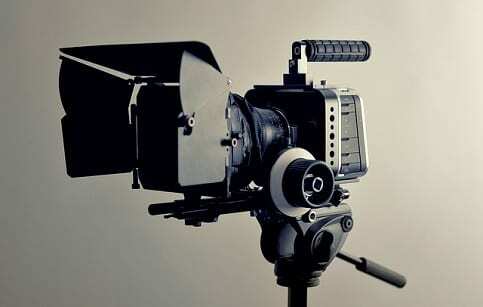 It is difficult for any company to offer an exact price for a video project until all the specific details of the project have been discussed and addressed. However, any reputable business should be willing to offer an estimate that is at the very least in the ballpark of the final cost for your production. The final price should not be substantially higher than the initial quote unless a clear reason for the increase in cost is given. Additionally, you should choose a company that is willing to provide creative ideas to help you maximize the value of every dollar spent. 9. Can the Company Help Re-Purpose Your Video? In most cases, videos can be used in more than one way. For example, your video can be used across social media as marketing material. It can also be used in presentations, blog posts, or on landing pages. For this reason, re-purposing your video means you can reach a much broader audience and gain more clients. An experienced company should possess a significant amount of knowledge about re-purposing videos. Therefore, this a very important question to ask when you are interviewing various production companies. 10. Can the Company Offer Video Marketing Advice? A professional, qualified video company should have the experience to offer suggestions to improve your project and help it gain maximum exposure, as well as reach a wider audience. If video marketing is a vital aspect of your project and your primary goal for creating the video is to ensure you reach a large audience with your brand, consider searching for a company that can help you with video marketing. In this way, the chances of your video being found and viewed by your target audience will significantly increase. Creating a video for any purpose is a rewarding and challenging endeavor, and choosing the best video production company is crucial to the success of your project. For this reason, you should ask the questions outlined above to ensure the best possible outcome of all your efforts. I like your advice to get examples of videos from the production company in order to check the type they make is a good idea. In order to get examples of their work, you might want to ask them for one or check out their website. Their website could show you their previous work and should also provide the video production company’s contact information so you can call the ones you’re interested in to ask questions or to set up an appointment with them.